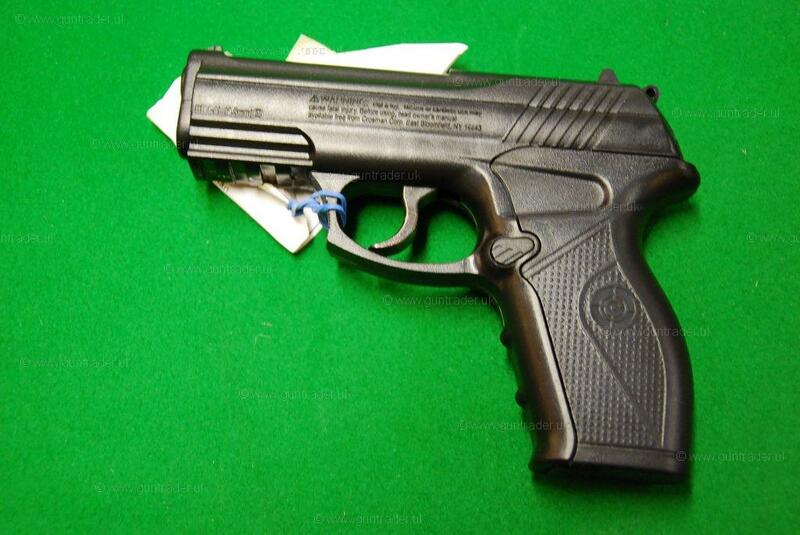 Crosman .177 C11 CO2 New Air Pistol for sale. Buy for £99. 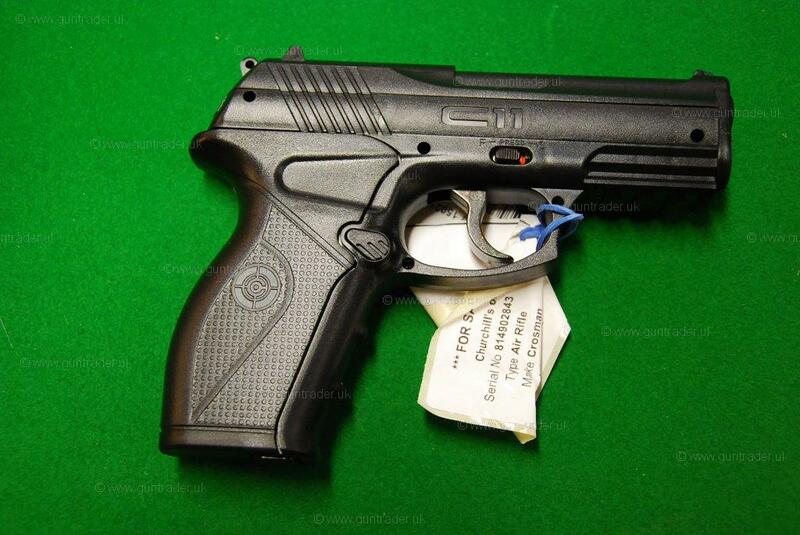 4.5 mm CO2 Powered, BB pistol - This semi-automatic CO2 powered pistol combines hand-held comfort with quality components, at an affordable price. It features a velocity of up to 480 feet per second and an accessory rail under the barrel. The C11 also features a removable magazine for BBs, as well as grips that slide back for easy replacement of CO2 Powerlets.